001 – Highlander | All Eighties Movies. All The Time! Welcome to the first podcast of the The Retro Cinema! 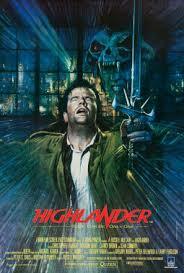 This week we kick back, relax and have a great chat looking at the 1986 classic, Highlander. This entry was posted in Podcasts and tagged action, drama, Highlander. Bookmark the permalink. Just found your podcast. This is one of my favorite movies of the eighties. You pay it so much credit. So much respect. Hi Lorna, thanks for posting, and welcome to the Retro Cinema! Found you through Youtube. Impressed this was your first podcast. It does take a skill to keep me listening to movie podcasts as I’m such a huge movie fan especially 80’s. Big tick from me. Going back over your selection of 80’s movies! Oh weird listening to your very first! Miss Gidgit sounds like she’s in a tunnel – no insult! Just fun listening to your progression. I’ve now listened to ALL of your pod casts! Do I get a mention?